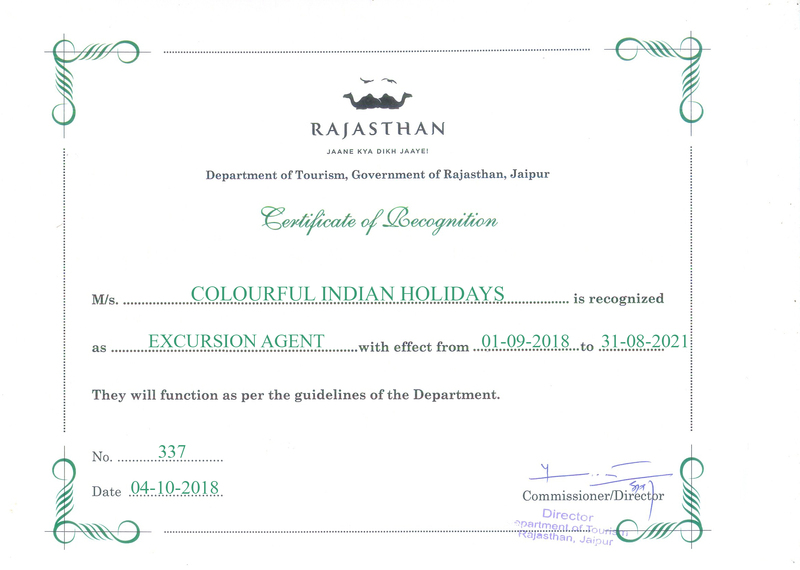 Udaipur - Chittor - Ranakpur - Kumbhalgarh - Jodhpur - Jaisalmer - Bikaner - Pushkar - Ajmer - Jaipur. 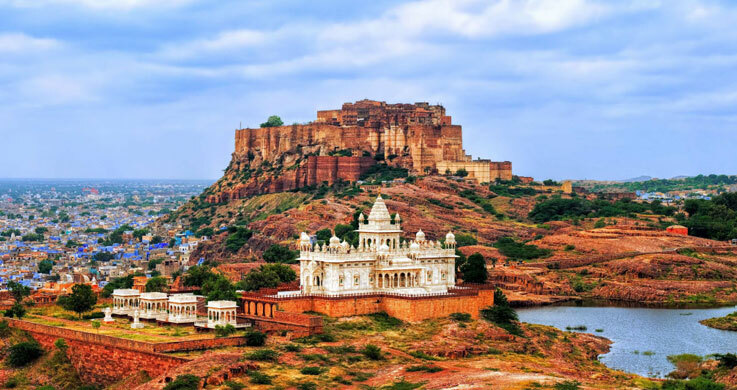 Major Attractions: City Palace, Lake Pichola, Chittorgarh Fort, Ranakpur Jain Temple, Kumbhalgarh Fort, Mehrangarh Fort, Jaisalmer Fort, Camel ride at Sam Sane Dunes, Junagarh Fort, Lord Brahma Temple in Pushkar & Amber Fort, Hawa Mahal in Jaipur. 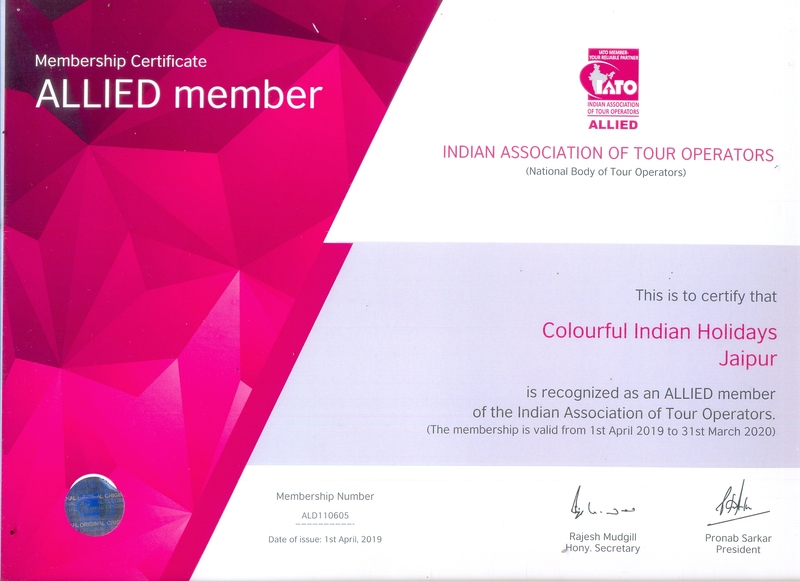 Destination Covered: Udaipur - Chittor - Ranakpur - Kumbhalgarh - Jodhpur - Jaisalmer - Bikaner - Pushkar - Ajmer - Jaipur. Upon your arrival at the Udaipur airport or railway station, you will be greeted by our representative and transferred to hotel immediately to relax after a long journey and spend overnight at hotel. After a grand breakfast at the hotel, enjoy a sightseeing trip of Udaipur, The City of Lakes. Start by visiting the City Palace, a grand palace raised by Maharana Udai Mirza Singh. It houses 11 magnificent palaces apart from various courtyards, terraces, pavilions as well as gardens. Next you will visit Saheliyon Ki Bari, which was once used by the queen and her maids to relax. The day also takes you to Jagdish Temple, Udaipur’s largest temple dedicated to Lord Vishnu.The day ends with a beautiful boat ride Lake Pichola. Return to your hotel for an overnight stay. After breakfast day excursion to Chittorgarh Fort (World Heritage Site): Chittorgarh resonates with stories of Rajputana bravery, pride and passion. The bards of Rajasthan sing tales of courage and sacrifice recounting stories that are known to every child and adult in the city. Later drive back to Udaipur and overnight at hotel. 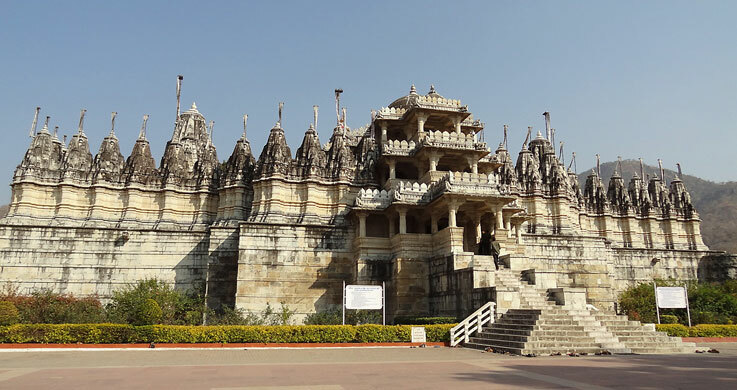 Breakfast and drive to Ranakpur, visit Ranakpur Jain Temple : Ranakpur is widely known for its marble Jain temple, and for a much older Sun Temple which lies opposite the former. The dating of this temple is controversial but it is largely considered to be anywhere between the late 14th to mid-15th centuries. Afternoon drive to Kumbhalgarh, on arrival check- into hotel for 01 night stay. Evening visit Kumbhalgarh Fort is a World Heritage Site included in Hill Forts of Rajasthan. Built during the course of the 15th century by Rana Kumbha, Kumbhalgarh is also the birthplace of Maharana Pratap, the great king and warrior of Mewar. Overnight at hotel in Kumbhalgarh. After a gratifying breakfast, drive to Jodhpur, check into hotel. Afternoon visit Mehrangarh Fort, Jaswant Thada and Clock Tower. Overnight at hotel. Day 06: Jodhpur – Jaisalmer drive (280 Km) Leisurely breakfast at hotel and drive to Jaisalmer, on arrival transfer to hotel for 02 nights stay. Evening free for on own and overnight stay at Jaisalmer. 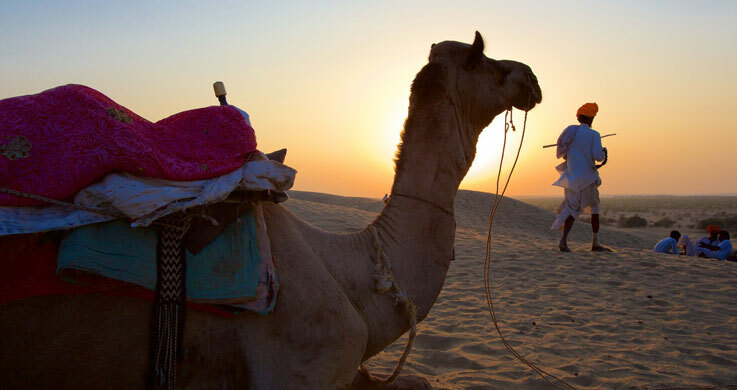 After a gratifying breakfast, enjoy a trip to this city of Jaisalmer set amidst the gleaming Thar Desert. Start by visiting the grandest Jaisalmer Fort, one of the very few “living forts” in the world. Its history goes back to 800-year and it remains the second oldest fort in Rajasthan. It features massive yellow sandstone walls which shine bright when sun rays fall on it. Also explore the Patwon ji ki haveli of Jaisalmer constructed in the year 1805. It was once the mansion of brocade merchants and is adorned with intricate paintings and mirror-works. Return to your hotel for an overnight stay. Day 08: Jaisalmer – Bikaner drive (330 Km) Today you will relish a splendid breakfast at your hotel and leave for Bikaner by road. Upon arrival, you will be transferred to your hotel for some rest. 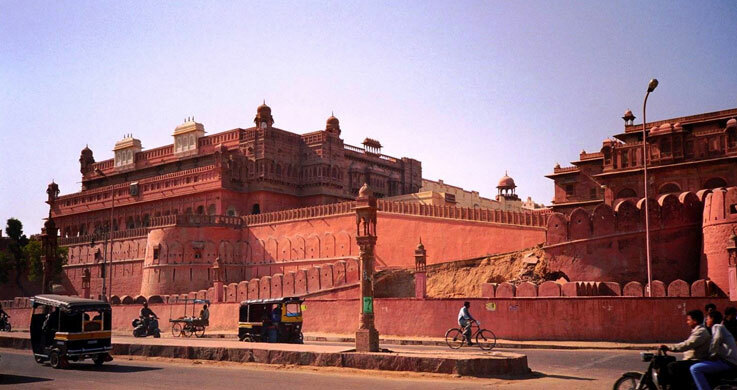 Later get ready for a sightseeing tour of Bikaner, an ancient city dotted with beautiful temples and forts. First you will visit the majestic Junagarh Fort blending Mughal, Gujarati and Rajput style of architecture. Next on the itinerary is Lalgarh Palace, a massive architectural wonder flaunting Mughal, Rajput and European architectures. The palace is a feast for your eyes and takes you back into history. Bikaner’s Camel birding farm is also on the itinerary where you can spot over 400 camels belonging to four different species.Return to your hotel for an overnight stay. Day 09: Bikaner – Pushkar drive (250 Km) After breakfast, drive to Pushkar, the land of Gods and Goddesses. This is the place where the only temple of Brahma, a creator god in Hinduism, is located. Spend some moments of peace at the serene ghats of the holy Pushkar Lake. Pilgrims can be seen taking a dip into the holy water of this lake to wash away their sins.Return to your hotel for an overnight stay. Day 10: Pushkar – Ajmer – Jaipur drive (142 Km) Morning breakfast at hotel and drive to Jaipur via Ajmer, visit Ana Sagar Lake, Adhai din ka Jhonpra and Soniki ki Nasiyan. 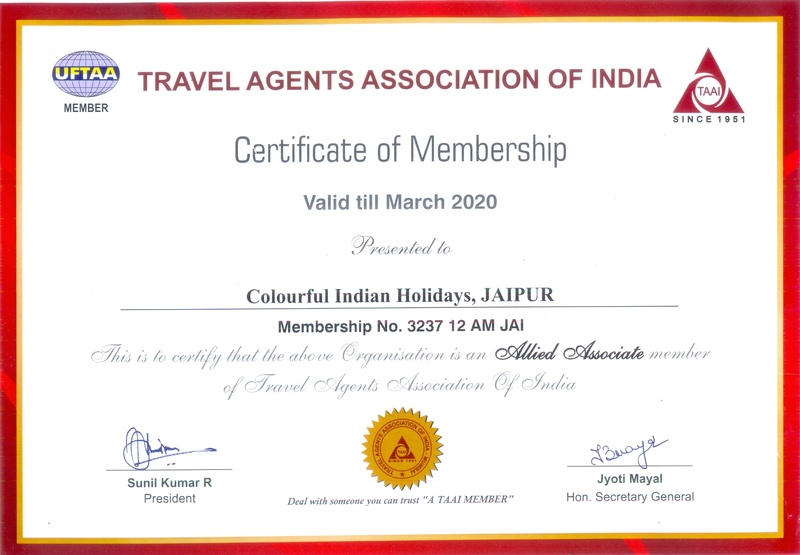 Later continue drive to Jaipur, on arrival check-in at hotel for 02 nights stay. A splendid breakfast at your hotel and take a drive to the Pink city of Rajasthan, Jaipur. The city has numerous historical charms and takes you deep into the memory lanes. 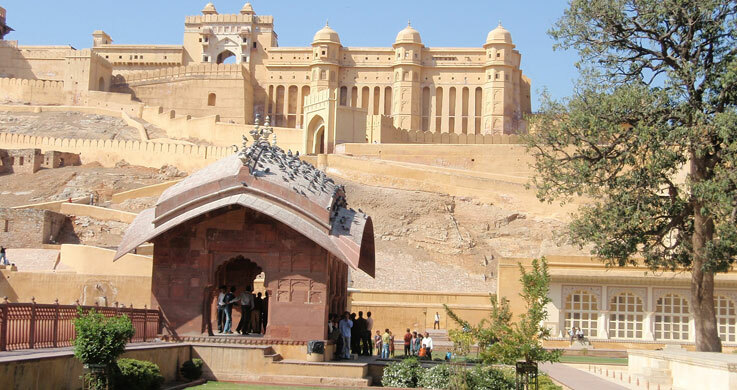 Visit Amber Fort located in the outskirts of Jaipur. Amer was founded by Raja Alan Singh in 967 CE. Here you will see some splendid structures like Diwan-i-Aam, the Diwan-i-Khas, the Sheesh Mahal (mirror palace), Jai Mandir, etc. 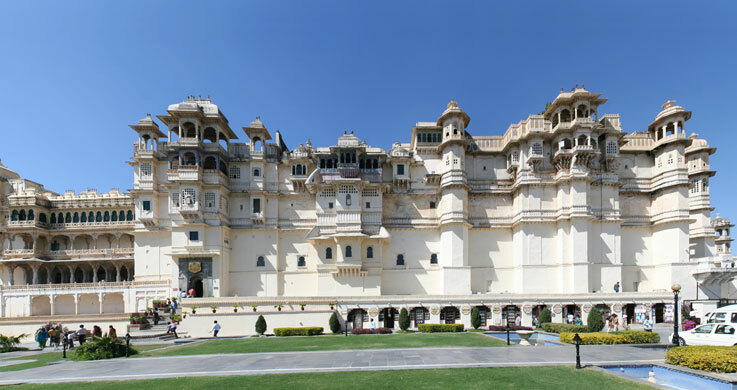 Later walled city tour by walk: The sightseeing tour starts with City Palace, a majestic palace flaunting a mix of Rajasthani and Mughal art and architecture. Next you will visit the Jantar Mantar, housing nineteen architectural astronomical instruments set up here by the Rajput king Sawai Jai Singh II. Hawa Mahal of Jaipur is a must visit place standing right in the city center. This red and pink sandstone monument has 953 small windows which were once used by royal women to observe everyday life and festivals celebrated in the street without being seen.Evening is free to explore the vibrant Bangle street of Jaipur city brimming with beautiful bangles, spices, Rajasthani attires, juttis, and much more. The day ends at Ramachandra ji temple with a beautiful city view.Return to your hotel for an overnight stay. Day 12: Jaipur – Onward Journey After breakfast departure transfer to airport/ railway station for onward journey. Sound and Light Show at Amber Fort in Jaipur.